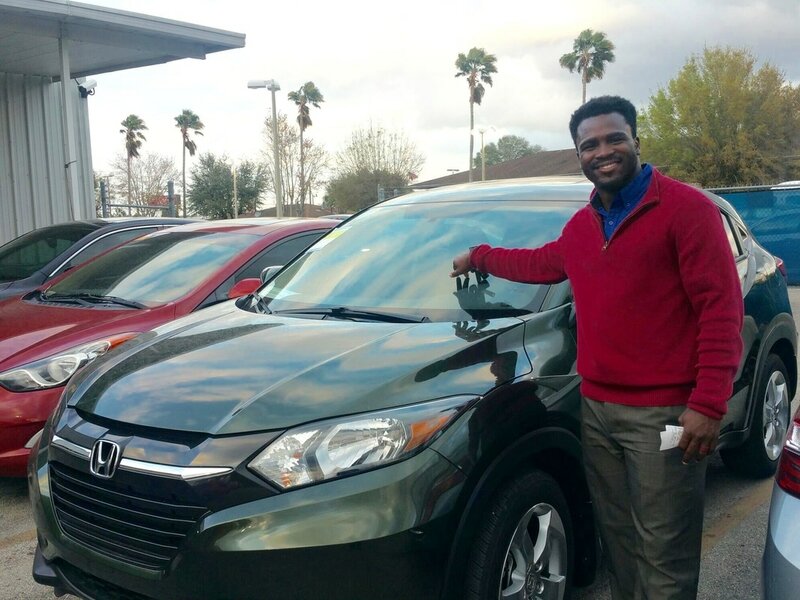 Ryan Jones has been part of the sales team at Classic Honda in Orlando for almost two years. Before that, he was a supervisor at Ross. We admire his sincerity and upbeat nature, and we’re delighted to work with him! We asked him about himself, why he loves his work, and some of the best practices that have helped him to achieve success. Ryan, how do your sense of empathy and your positive attitude affect your daily work in sales? I make everything within the sales process enjoyable. I won’t throw anything at you without explaining thoroughly, because I want you to understand things as much as I do. No matter where you come from, no matter what you do, I give everyone the same treatment. What do you like about working at Classic? Everyone’s always upbeat, everyone’s every laughing, but we get the work done. Everyone enjoys what they do. Have any of your sales clients been especially memorable? Oh, yes! My favorite client was a lady from Miami. She was getting ready to move up here, and wanted to start looking at cars, even though she had said wasn’t purchasing anything any time soon. Well, she loved me so much she decided to buy a brand new Honda that day. But she didn’t have all the supporting documents she needed, so she drove ALL the way to Miami that day to get her documents, and then drove all the way back to Orlando the same day. That’s amazing! Why do you think she changed her mind? I didn’t push her at all to buy “right now.” I didn’t use any pressure tactics. I just wanted to provide all the information she needed for her move a month later, and she really liked that. That is refreshing. What inspires you every day? I was born in Germany because I was an army brat. My family and I stayed there for four years before coming to the US, so I have dual citizenship. It’s at the top of my bucket list to go back there (but I have to convince my wife that’s the place to go!). I also have a golden lab named Nala, and I like her energy the best. She wakes me up every morning, and she’s always happy. Even when you’re down, she keeps you up! Happy Sixth Birthday, Car Pal! What Should I Do After I Take My Car Home From the Dealership?